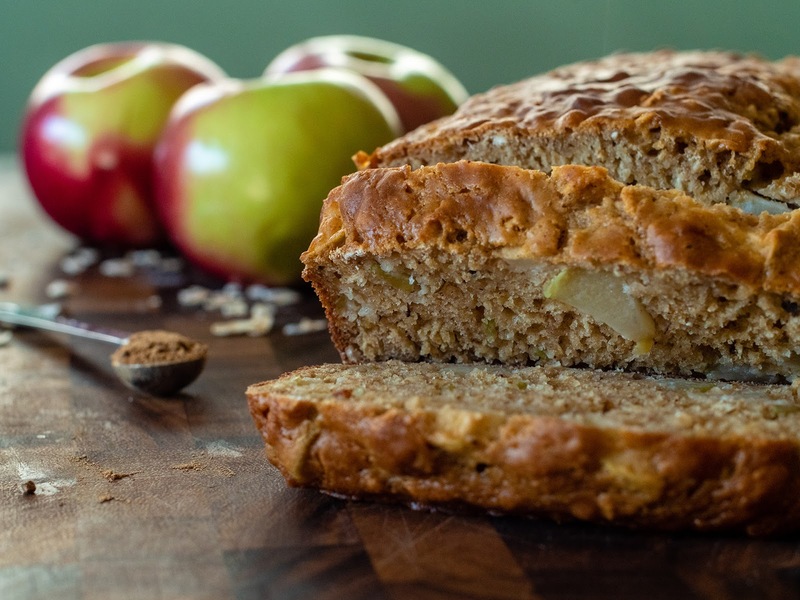 Start the Thanksgiving Day feast early with this apple pie spice breakfast bread. Apples and maple syrup provide just enough sweetness and Greek yogurt gives it a fluffy, spongy texture. It's easy to make and sure to please. Disclosure: I received a free packet of spices from RawSpiceBar to facilitate this recipe. I received no other compensation for this post and the opinions contained herein, are my own and reflect my experience with the products. Your own may differ. I really seem to be on a baking roll this Fall with cookies and muffins happening on a consistent basis. This week I decided to change it up and make a quick bread. 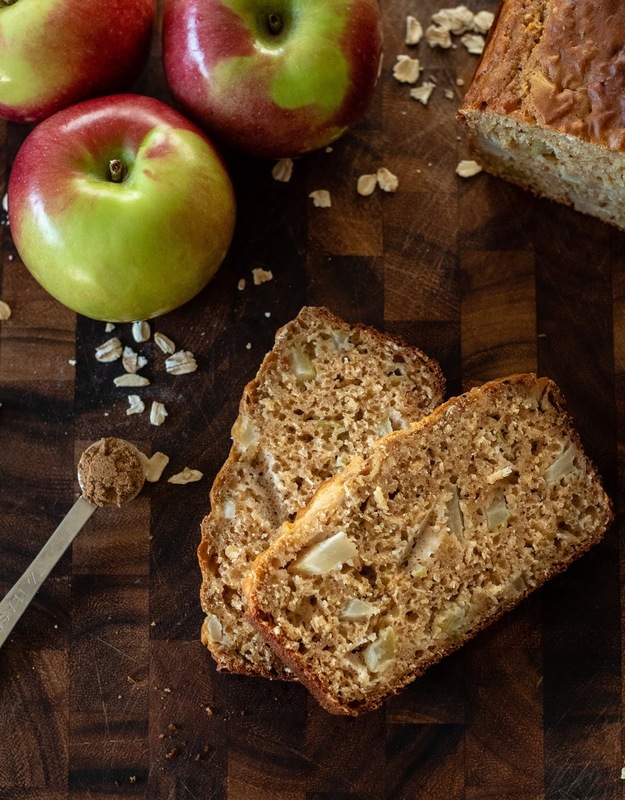 This bread tastes like apple pie but is, quite frankly, way less work to put together. Like I mentioned above Greek yogurt is the key ingredient to maintaining the right texture so things don't dry out. The other key, in addition to a delicious local apple, is the spices. I used Apple Pie Spices by RawSpiceBar. RawSpiceBar bills itself as a global spice market at your fingertips. And, it really is. All the spices are salt-free, transparently sourced, and freshly ground shipped in small batches. 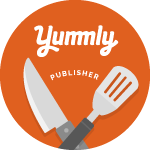 You can build your own subscription box with the spices you want and how frequently you want to receive them, you can give killer gift spice sets, or you can just shop for the spices you want individually. 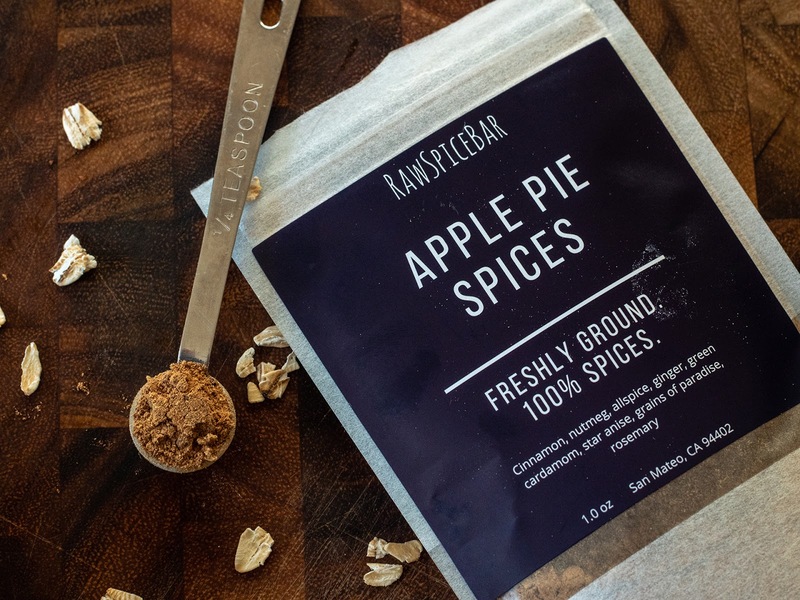 I first wrote about RawSpiceBar a few years ago and their products continue to be some of the most fragrant and flavorful spices I've found out there. I also love the interesting combinations they offer, all with a global flair. Take the Apple Pie Spice I used on this recipe for instance. Sure nutmeg, cinnamon, and allspice would be expected, but this one also has ginger, green cardamom, star anise, grains of paradise and rosemary. It's an intense yet well-balanced mix that, at least to me, is truly unique. I'm pretty sure I audibly said "Woah" when I got a whiff as I opened the package. My goal was to make a scrumptious breakfast item that celebrated Fall, while still being relatively healthy, and that could also double as a nice hostess gift or offering for house guests. Goal achieved. Do you make anything special for the morning of Thanksgiving? Preheat oven to 350 degrees Fahrenheit. Grease a 9x5 loaf pan. In a small bowl, whisk together the flour, oats, baking powder, baking soda, apple pie spice, and salt. Set aside. In a large bowl beat the eggs. Add the Greek yogurt, maple syrup, vanilla, and milk. Whisk until completely combined. Add the dry ingredients to the wet ingredients a little at a time until completely combined. Fold in the diced apple. Pour the batter into the greased pan and bake for 50-60 minutes or until a toothpick inserted into the center of the bread comes out clean. Let cool before cutting into slices. Serve warm or at room temperature. This looks tasty. I love Apple anything. I will be giving this a try. Thanks for sharing. It's perfect for this time of year. Enjoy!